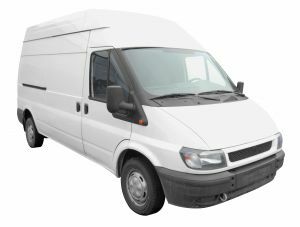 Courier services are an extremely important part of the day to day running of many businesses, regardless of their size. They deliver consignments reliably to make sure their client’s business runs smoothly. Some business contracts rely entirely on courier services to ensure important documents arrive on time for projects to begin efficiently and other businesses need to deliver important components in time for projects to stay on target (and within budget). Delivering packages and consignments quickly and reliably are the key to many businesses success. In order for projects to complete on time certain parts and components need to arrive on time. In manufacturing; parts will often be ordered to arrive at specific times when they’re required, to save storage space. So getting that component on the right day means the project can complete on schedule, time and money saved all round. In this blog we’ll look at 5 reasons that same day courier services work. Businesses have been using them for hundreds of years, and for some, they’re the life blood of the business. For example: catalogue and mail order companies rely on couriers to deliver orders to their customers. A business can be judged on its reliability. The more reliable it is, the more trustworthy it will be perceived. A business that is trustworthy will have many customers that will rely upon its services. If your business relies upon delivering orders to customers and clients then it is essential to be reliable. This means a delivery service that’s always on time and can be trusted. Courier services work out far more cost effective than delivering an item yourself. Even if you just need a signature on an important document; delivering the document yourself is costly. Not only will it cost you in terms of fuel and wear and tear on your car, there’s also your time. Do you really have the spare time to deliver orders or documents yourself? A courier service will deliver your consignments on time and in a reliable manner. This means that important projects will complete on time too. A building project may require components of a structure to arrive on a set date. The building project may contract experts to install the components for just one day. Therefore the components must arrive on schedule. By using a courier service your customer satisfaction will increase. Customers will be happy that their orders are delivered on time and professionally. Satisfied customers also do one very important thing; they spread a good word. Customers that are happy with your service will tell other people. Word of mouth is one of the most powerful marketing tools to any business. So is customer retention. Outsourcing is a great way of expanding any business. So why worry about recruiting delivery drivers and purchasing delivery vehicles? It’s much cheaper to outsource the delivery of consignments and packages to a courier services company. They’ll have experience in time management to make sure your package gets delivered on time. They’ll also be insured to handle your package just in case it does get damaged in transit. Whatever your same day courier needs, give us a call – we are happy to help.